Creative Brief : Sioux Center celebrated 125 years in 2016 and contacted the Agency to help them out with their projects. We started with their logo a year before the celebration to help them raise excitement for the following summer. 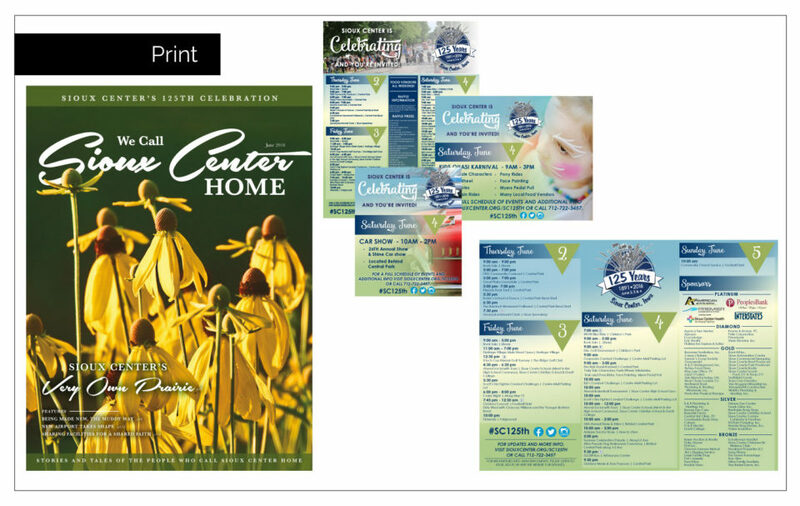 Soon after the logo was designed we were contacted to help them design and layout a 160 page magazine highlighting the history, present and future of Sioux Center. They also contacted us to help with their ad design for the local papers to raise awareness of the weekend celebration.